Babylon TV is back on 12685.00MHz, pol.H SR:27500 FEC:5/6 SID:1420 after a break ( PID:1421/1422 - Clear). Babylon TV is back on 12054.00MHz, pol.H SR:27500 FEC:5/6 SID:263 after a break ( PID:276[MPEG-4]/277 Kurdish - Clear). Babylon TV has left 12054.00MHz, pol.H (DVB-S SID:821 PID:2204[MPEG-4]/3204 Kurdish), it is no longer transmitted by satellite in Europe. 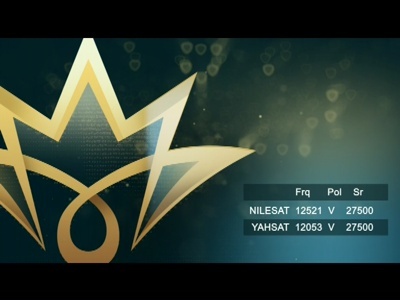 Babylon TV is back on 11240.00MHz, pol.V SR:27500 FEC:3/4 SID:13929 after a break ( PID:276[MPEG-4]/277 English - Clear). A new channel has started in DVB-S Clear: Babylon TV (undefined) on 11345.00MHz, pol.H SR:27500 FEC:5/6 SID:307 PID:3071[MPEG-4]/3072 English. A new channel has started in DVB-S Clear: Babylon TV (undefined) on 11240.00MHz, pol.V SR:27500 FEC:3/4 SID:13929 PID:2204[MPEG-4]/3204 English.